In order to compete in an increasingly noisy digital world you must quickly adapt so you convert more website visitors into paying customers faster and at a lower cost than your competition. 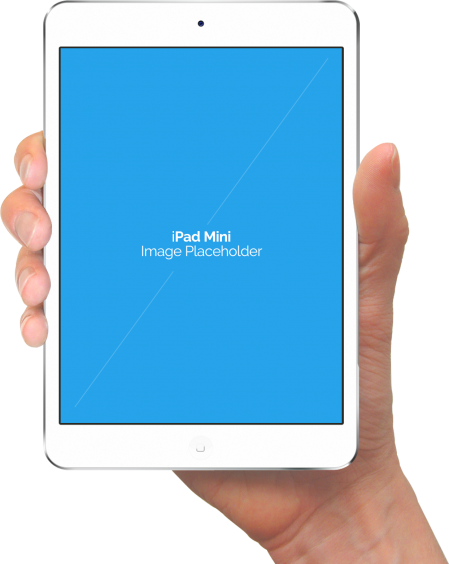 Backed up by real world case studies, Conversion Fanatic shows you how. An interesting take on conversion rate optimization and getting more out of your advertising complete with real world case study examples. Millions of new advertisers are coming online daily. Competition is fierce. Click costs are inching up every quarter. Customers’ attention spans are getting shorter and shorter as they are inundated with more and more ads from more and more advertisers. As a result, digital ad costs are rising and their effectiveness is dropping. Companies who fail to adapt will face eroding profit margins, month after month, year after year. To combat this and stay ahead of your competition it’s critically important you apply continuous optimization strategies. You need to find and test breakthrough marketing ideas faster and more adeptly than your competition can keep up with, so you convert more website visitors into paying customers faster and at a lower cost than they can. 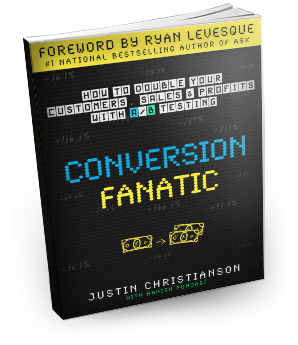 Conversion Fanatic is based on years of experience running thousands of split tests on hundreds of campaigns and is the definitive guide to getting more out of your marketing efforts. Get more out of your marketing and make more money! "You can't grow a company or a brand without leads and conversions. Conversion Fanatic IS the new blueprint for how its done! This will absolutely be in my desk for years to come and a source of learning I will surely be recommending to my entrepreneurs. Thank you Justin for all your hard earned wisdom and insights." "Your book is awesome. I'm a few chapters in and its a page turner. One of those ones that's kinda hard to put down." Justin is a self-proclaimed numbers junky. A veteran of digital marketing, he has a unique ability to find holes in marketing plans and quickly plug them for better ROI. After several online successes and a successful private consulting practice, Justin, along with Manish Punjabi (co-author), co-founded Conversion Fanatics, a boutique style all-in-one conversion rate optimization company that serves mid- to large-scale clients in effectively increasing the effectiveness of their online marketing campaigns and website conversions. In order to compete in an increasingly noisy digital world you must quickly adapt so you convert more website visitors into paying customers faster and at a lower cost than your competition. Conversion Fanatic shows you how.